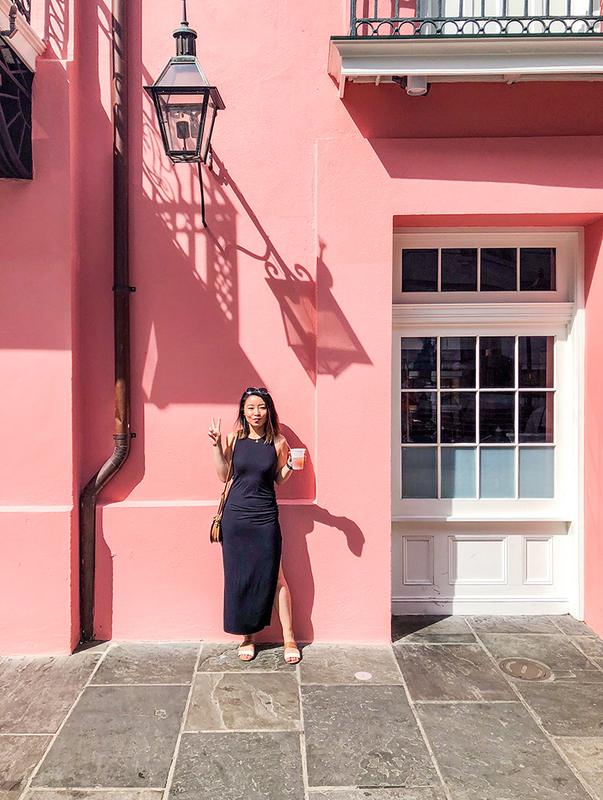 Last month, Zach and I took a 5-day vaca to New Orleans! He finally had a break from work so we took that chance to escape the Chicago cold. We spent the long weekend exploring the city, eating as much seafood as we could get, and having a little fun with the open container laws 😛. 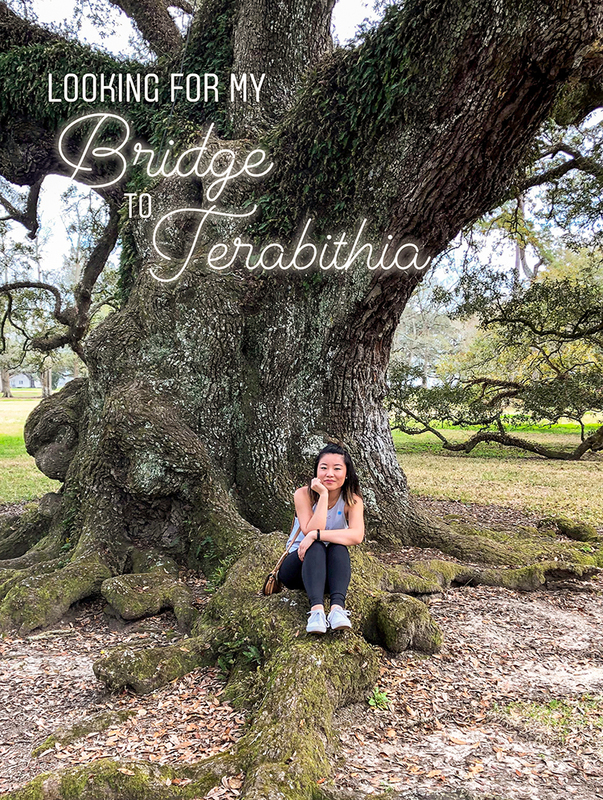 Wanted to share some trip highlights and a few of our NOLA travel tips! On our balcony in our AirBnB! Zach was in New Orleans just a little over a year ago and at that time, he stayed a block off of the one and only Bourbon Street. He said he had a blast and loved being right in the heart of the party, one didn’t really stop until the early morning hours 😎. If that’s the kind of trip you want, absolutely go for it! 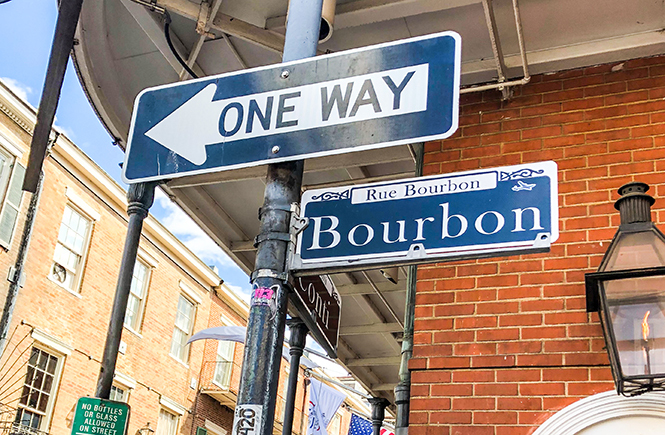 For me though, while I definitely wanted a Bourbon Street experience, I wasn’t really looking for Hurricanes and bachelorette parties all week long. 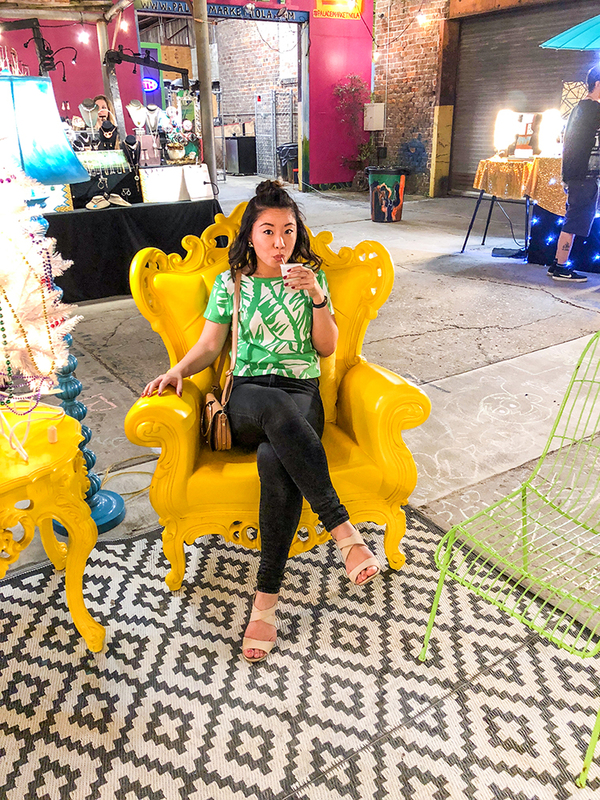 So instead, Zach and I decided to stay in the Faubourg Marigny neighborhood, right next to the French Quarter and a few blocks from Frenchman Street. Frenchman Street is known for its live-music venues with a ton of bars and restaurants. It was honestly the perfect spot for us. 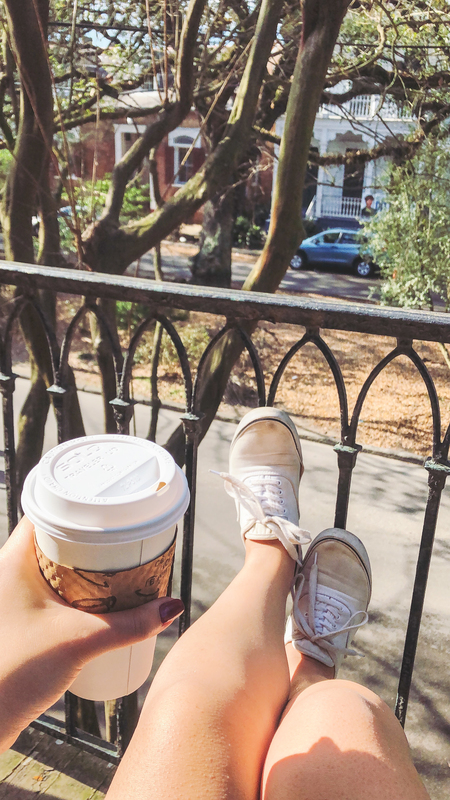 We found this cute 1833 townhouse on AirBnb with a balcony overlooking this beautiful tree-lined main road. 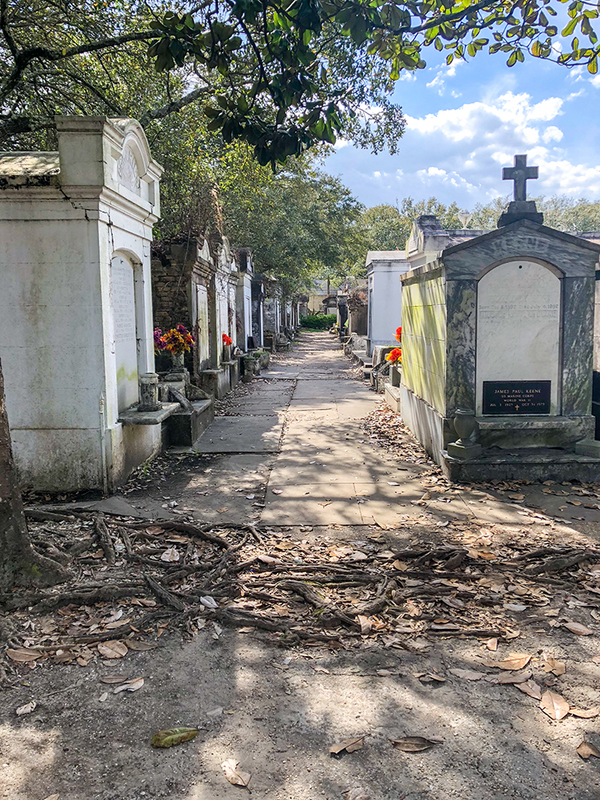 It was a sweet, quiet neighborhood but also an easy walk to Bourbon Street. Highly recommend it for those of you looking for the best of both worlds! 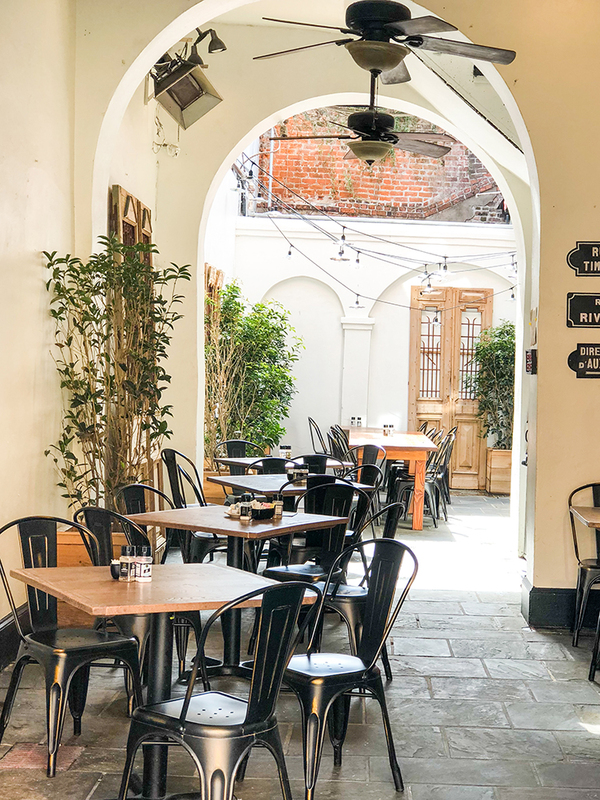 If you’re looking for other places to stay in New Orleans, AllTheRooms is a great resource to check out. 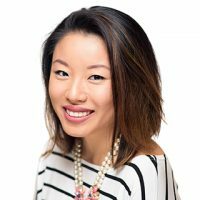 It combines booking results from AirBnB, Bookings.com, and a bunch of others that I’ve never even knew about! Want something a little more budget friendly? Check out this article listing some of the top affordable hostels in the city. What’s a pink wall without a pic? This is Brennan’s, a fine-dining restaurant that looks like it has a great brunch. On my list for next time! A major trend of our trip was just us walking around town while enjoying some drinks. 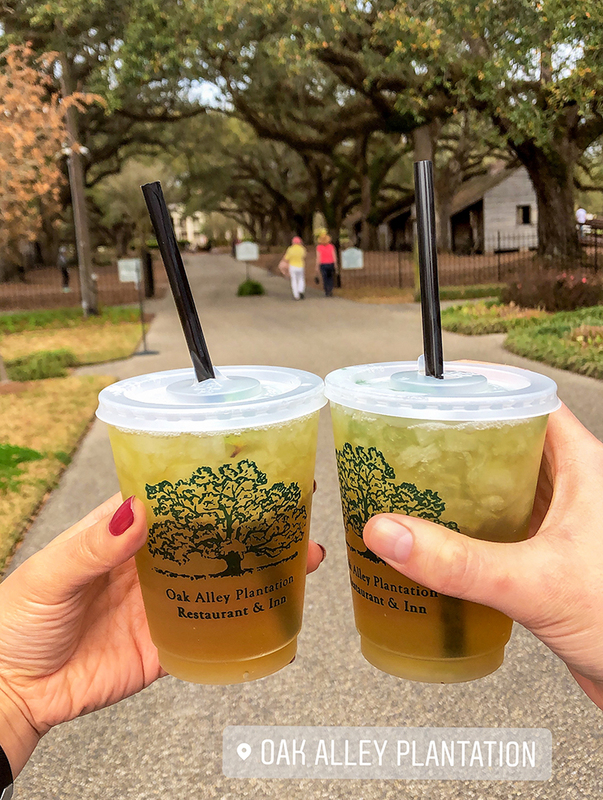 The French Quarter has open container laws which allow you to drink in public, as long as the beverages are in non-glass containers. 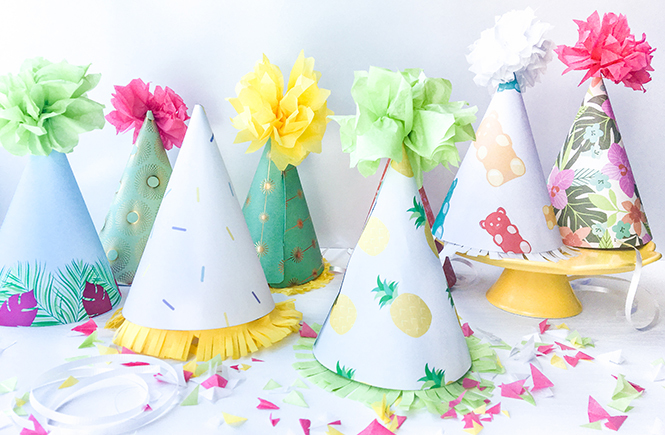 (Woot woot!) 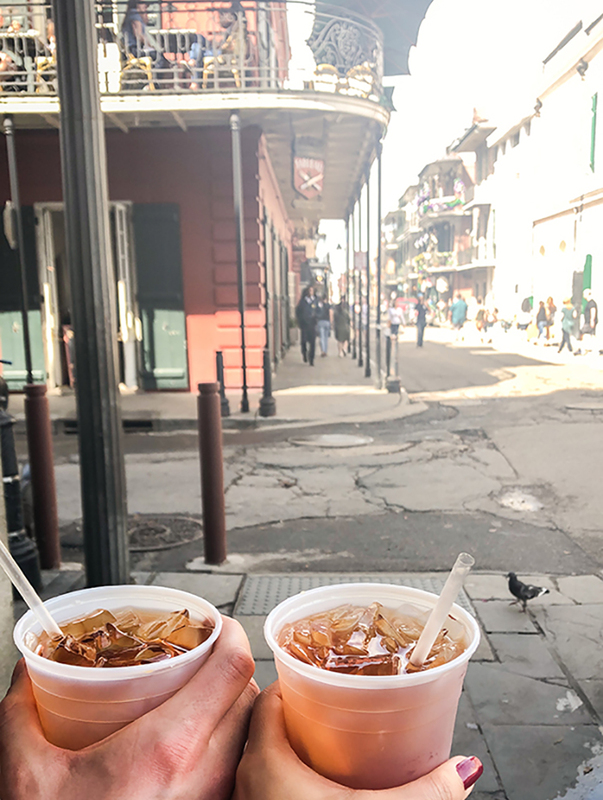 We sipped on whiskey gingers while checking out the live bands on Frenchmen Street, I took full advantage of the warm sunny weather and had a John Daly while we did some shopping, and a Bloody Mary was absolutely neccessary as we strolled through Bourbon Street during the day. BEIGNET, DONE THAT. BUT I’D DO IT AGAIN. Yes, we were those tourists. 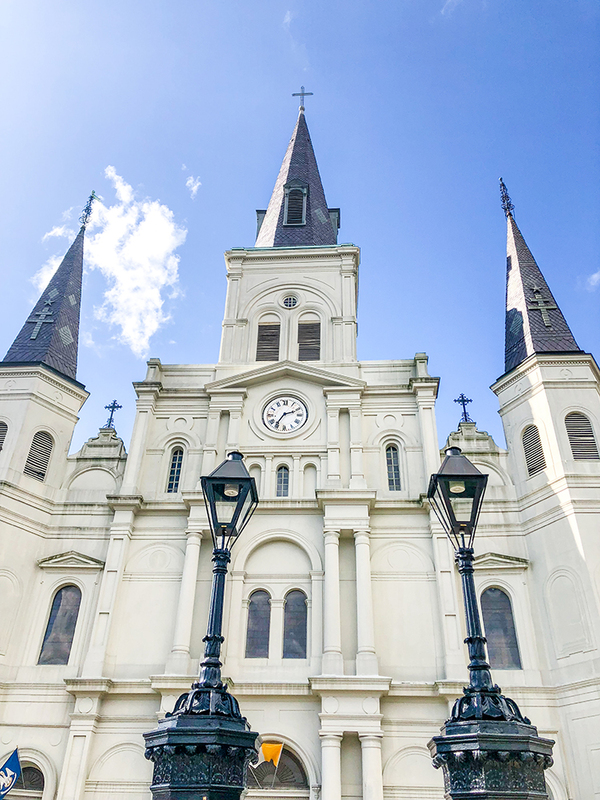 We waited in line at the famed Café Du Monde, each ordered a plate of three beignets and café au laits, and just floated in powdered sugary bliss. No regrets. 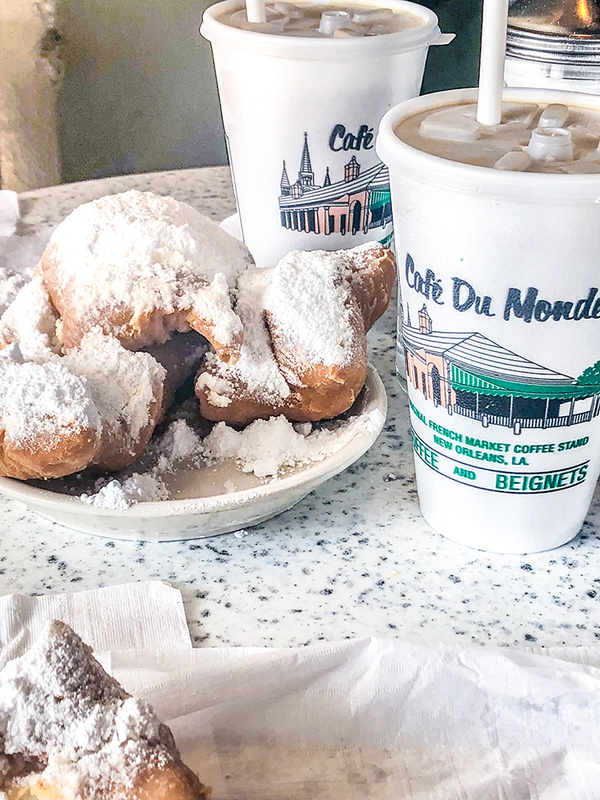 Café Du Monde is actually open 24/7 so you can get your beignet fix at any time of day! While I personally loved being there with the crowds, another place to check out is Café Beignet. 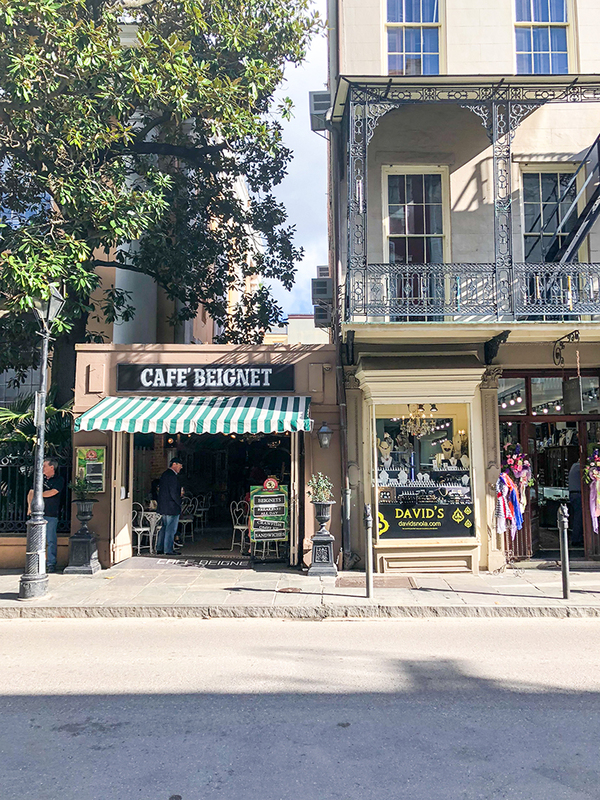 It’s a cute bistro that that serves beignets, coffee, and small bites, plus it is not in the tourist hot spot. We didn’t go in but it was recommended to us by our Lyft driver 😛. Oyster happy hour at Luke! Cocktails were also on point, and half off! Dessert at Commander’s Palace. 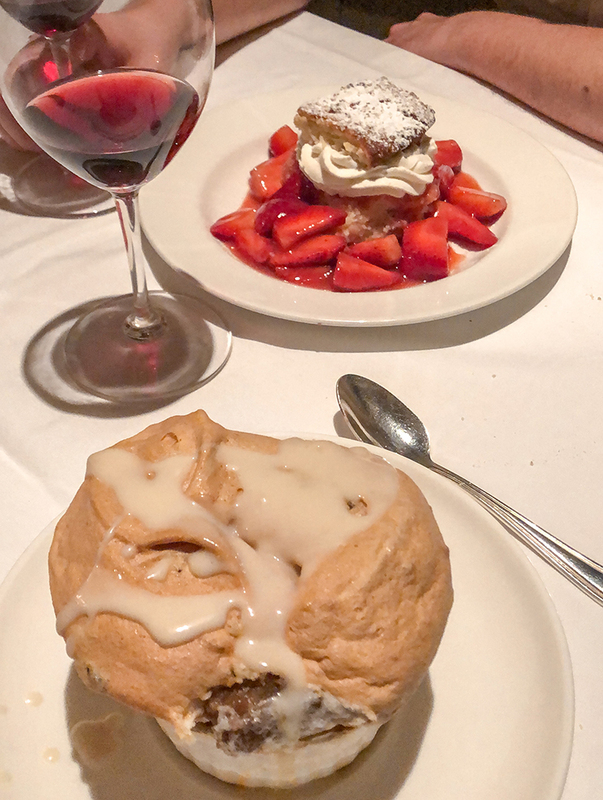 Zach had a variation on Strawberry Shortcake and I had the Commander’s Bread Pudding Soufflé. Now, let’s be honest. 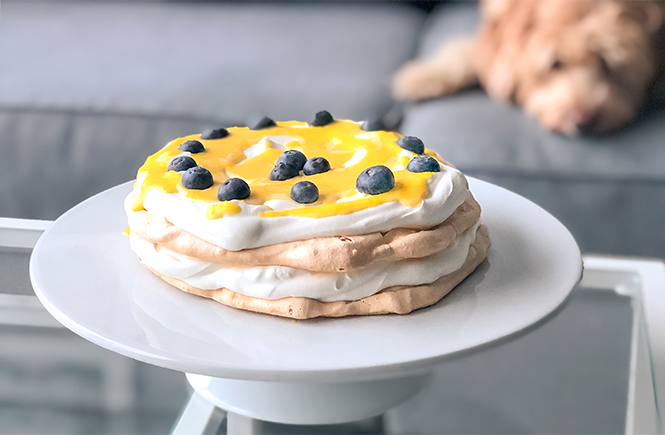 Isn’t vacation basically about the food? Adolfo’s – On Frenchmen Street, on the 2nd floor on top of a bar, Adolfo’s serves Italian cuisine with a Cajun-Creole influence. I didn’t care for the Italian part but their lamb special and stuffed flounder with ocean sauce (a creamy sauce of shrimp, crab, and crawfish) was 110% worth breaking my paleo diet for. Adolfo’s is tiny (cozy) and we had about an hour wait. Their downstairs bar had live music and the place was next door to an outdoor art market so we weren’t too upset about it. The cute, outdoor art market that is only open in the evenings after 6/7PM. Three Muses – A live jazz venue serving mostly small plates, also on Frenchmen Street. There was a wait when we went (we did not make reservations) so we had a cocktail at the bar while enjoying the band on stage. Cocktails were really good. The food was also delicious and quite global – we had sliders, tacos, and bulgogi. Super fun, highly recommend! 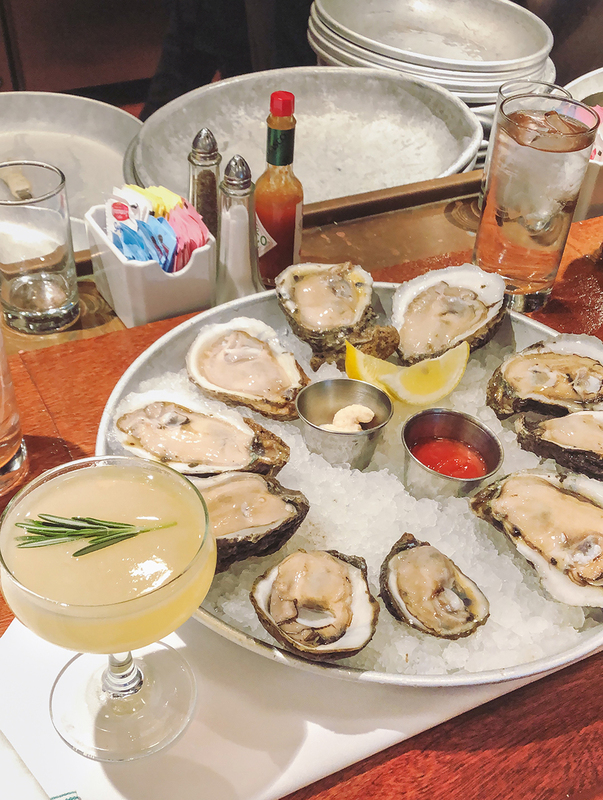 Luke – Another thing that was on my list of must-do’s in New Orleans was going to an oyster happy hour. 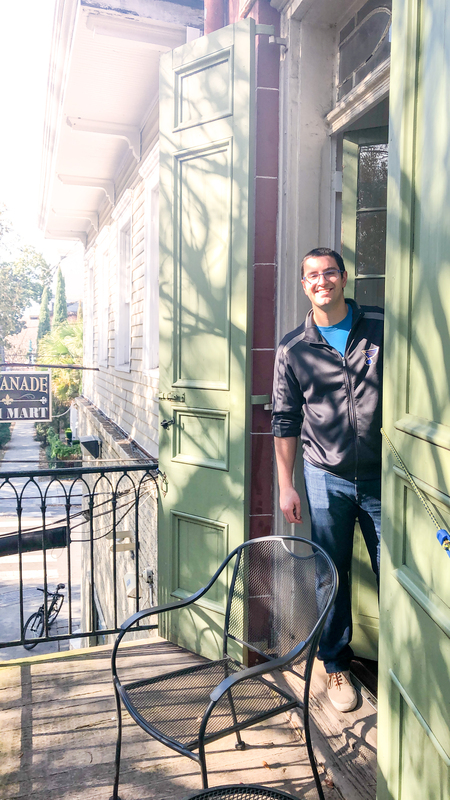 Luke is in the Central Business District, just a few blocks from the French Quarter. From 3-6PM they have 75 cent oysters on the half shell with half-priced beer, cocktails, and wine by the glass. The oyster shuckers also gave me a few bonus oysters in my order 😊. If we didn’t have dinner plans later, I would have just stayed at Luke all evening! 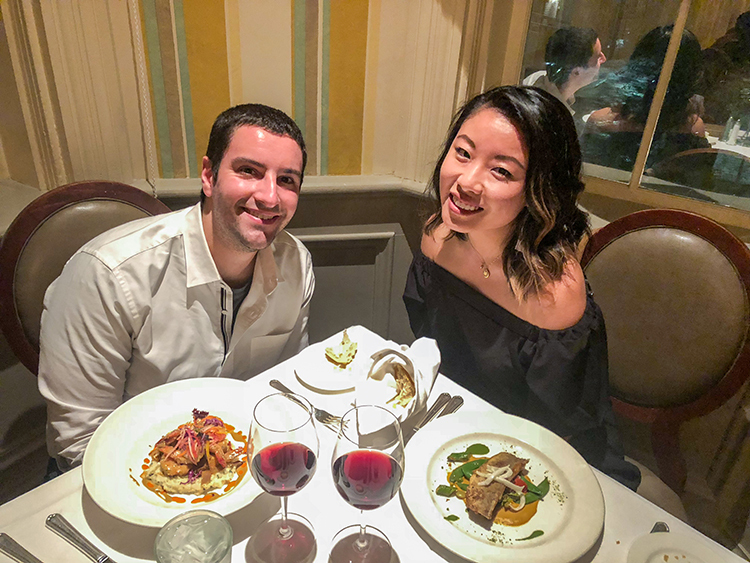 Commander’s Palace – Our one fancy dinner out. Located in the Garden District, it is a landmark of the city, has won multiple awards and has fantastic reviews. It’s also in a bea-u-tiful, playfully teal, building that I would have loved to play princess in as a kid. If you want to go, make a reservation, and make it well in advance if you are looking for a weekend. 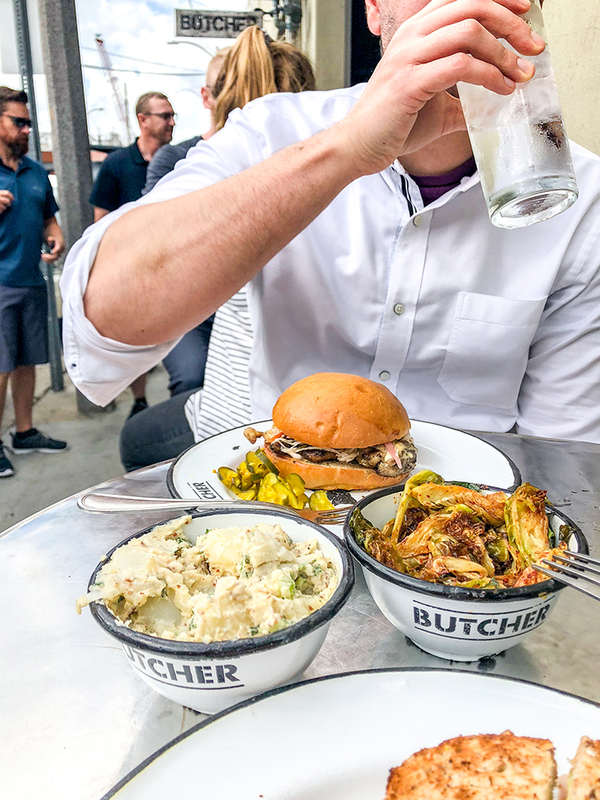 Cochon Butcher – Our last meal in the city! 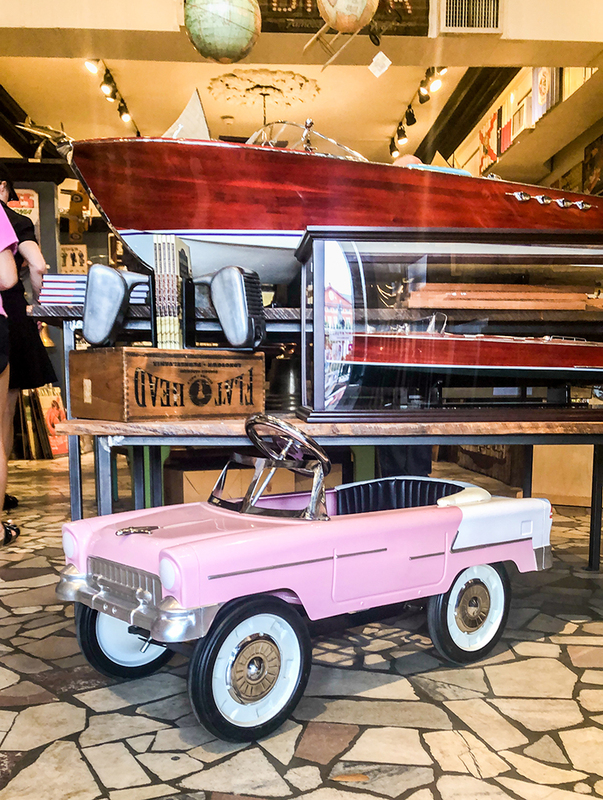 Located in the Warehouse District and just blocks from the WWII Museum (which is amazing!! ), Cochon Butcher is a butcher shop, sandwich counter, and wine bar. Top notch nosh. Our favorite item that we had on the menu? The marinated brussel sprouts. This place got really busy at noon as it’s also located near a convention center. We got there at 11:30AM which just beat the major rush. We also did a swamp and plantations tour which was a bit spendy ($176 per pp) but it was an all day adventure. They picked us up bright and early and we drove about 40 minutes out of the city to the bayous. 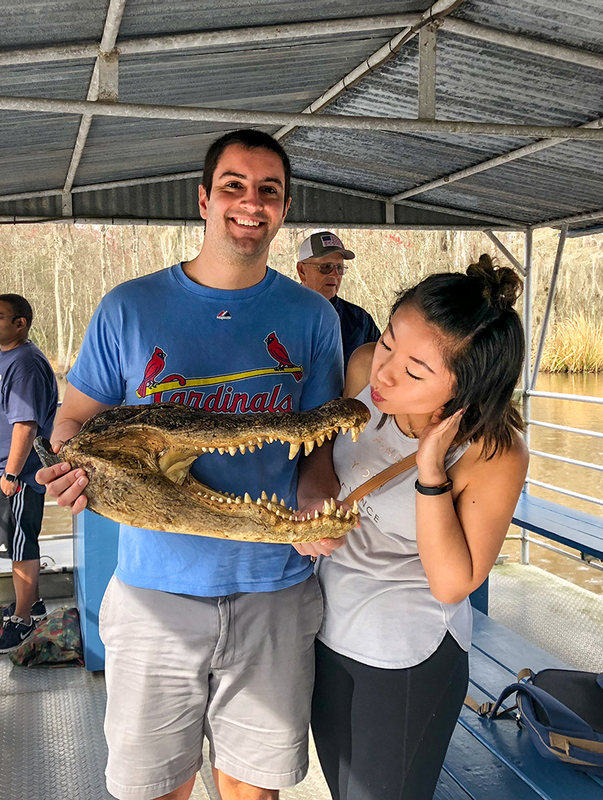 A local fisherman took us out on a boat where we saw a few little alligators swimming around! After the boat ride, we were driven to Oak Alley Plantation for a look back at the antebellum south. We were served a Cajun lunch before we explored the grounds, Zach and I bought some Mint Juleps to take with. Then we went on a tour of the “Big House”. The final stop of the tour was the Laura Plantation, a Creole plantation where we learned a lot more about the particular family that ran the estate. Filled with scandal, they would have had their own reality TV show. It was a really cool tour though a bit long. I was absolutely exhausted by the end of it (I took a nap on the car ride back). 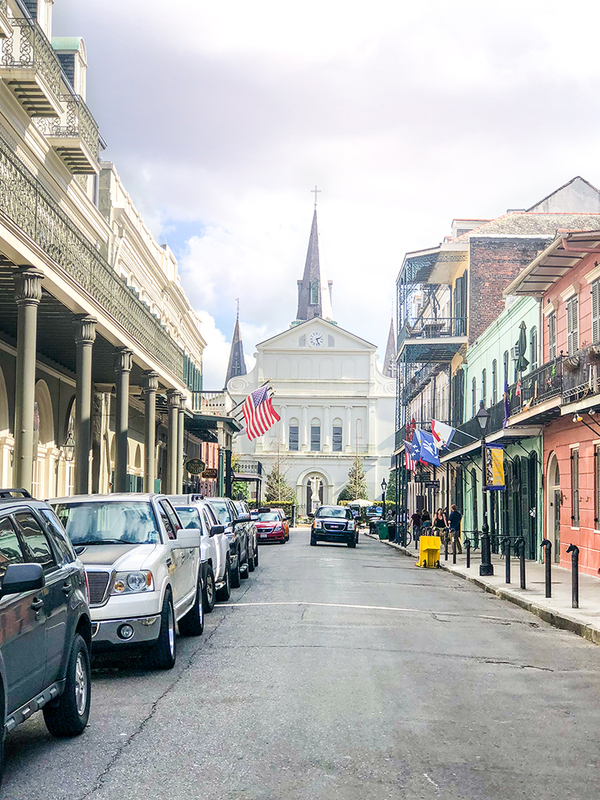 If you can, take a walk through the French Quarter in the morning, when the city is just waking up. It’s amazingly quiet and beautiful and gives you another side of the city to take in. 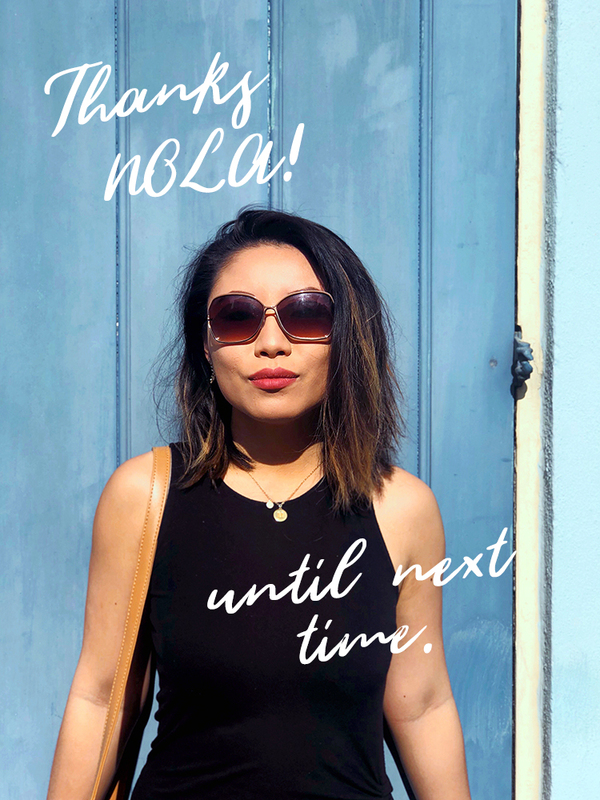 If you have any fun activities or travel tips for New Orleans, let me know in the comments! We’d love more inside scoops for the next time we go and there will absolutely be a next time. Or, if you have some suggestions for our next trip, preferably a 3-5 day kind of getaway, I’d love to hear it.